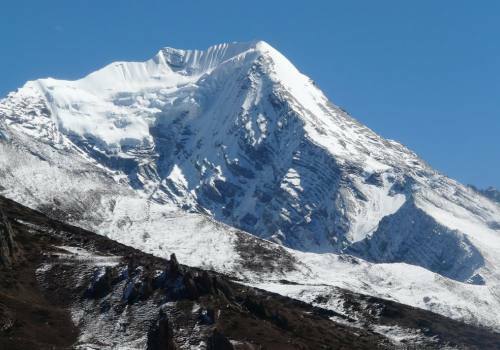 Formerly known as Gyanja La Peak, Naya Kanga Expedition rises to the west of Ganja La Pass in the Langtang Region at an altitude of 5855m height with the usual route to the summit being the snowy north- east ridge. Naya Kanga Peak Climbing is a moderately strenuous peak in the pristine Langtang Region which can be joined even by amateurs without having previous climbing experience. The kaleidoscopic views of mountains in Nepal and Tibet, namely Langshisa Ri (6370m), Pemthang Ri (6836m), Shisapangma (8046m), Langtang Lirung (7425m), Pemthang Kapro Ri(6830m) and Langtang II (6571m), allowed from the summit and the possibility of viewing Himalayan Wildlife makes Naya Kanga Peak expedition worth ascending. ‘Adventutre Himalayan Travels & Treks’ offers Naya Kanga (Gyanja La Peak) Climping, a 15-days long enchanting trekking package that allows an exciting, quick escape out of hustle bustle of daily life into the serene aura of Nature. Naya Kanga peak climbing initiates by driving to Syabrubesi whence the trail proceeds through Lama Hotel to the tranquil Langtang Valley where we will pass through several pretty and culturally rich small Tamang Villages to make it to Naya Kanga Peak. The path follows the Langtang Valley Trek, where you will seem much less tourists than in the Annapurna and Everest regions. 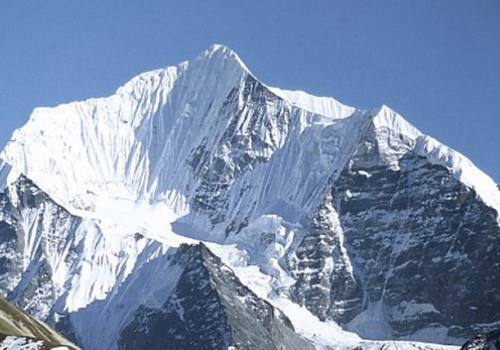 Come check out this amazing trek and climb for an adventure of a lifetime! Naya Kanga Peak climbing permit fee. Day 01Arrival in KathmanduUpon your arrival, our representative from ‘Adventure Himalayan Travels’ will pick you up in Tribhuvan International Airport of Kathmandu and convey to our hotel where you will get brief explanation about your Naya Kanga Peak Expedition package. You will spend wonderful night in the comforting bed of our hotel. Day 02Sightseeing in KathmanduThe freak street of Thamel lined with shops provide one stop solution for our shopping as almost everything required for trekking can be found here in the shops that cluster around Thamel. Day 03Drive to Syabru BesiDrive of about 8-9 hours through the road that twists and turns along the steep hill will take us to Syabrubesi after covering the 117km long distance. Syabru Besi Bazaar is crowded with shops and lodges. We will stay in any one of those hotels. Day 04Trek to Lama HotelLama Hotel (2480m) is a small village where you can find only guest houses. To reach Lama Hotel it takes about 7- 8 hours. Usually all the trekking guide prefer Lama Hotel as their first target to make a positive impression on trekkers. The town is well-organized with all facilities so that the guests feel comfortable while being surrounded by gorgeous scenery. Overnight stay at a guest house. Day 05Trek to Langtang VillageOn the 5th day of trekking, we begin early in the morning after taking breakfast. The trail continues along the dense forest until we make a stable climb up through the valley. We enjoy the wonderful scenic view of Langtang Lirung along with prayers wheels and water mills. 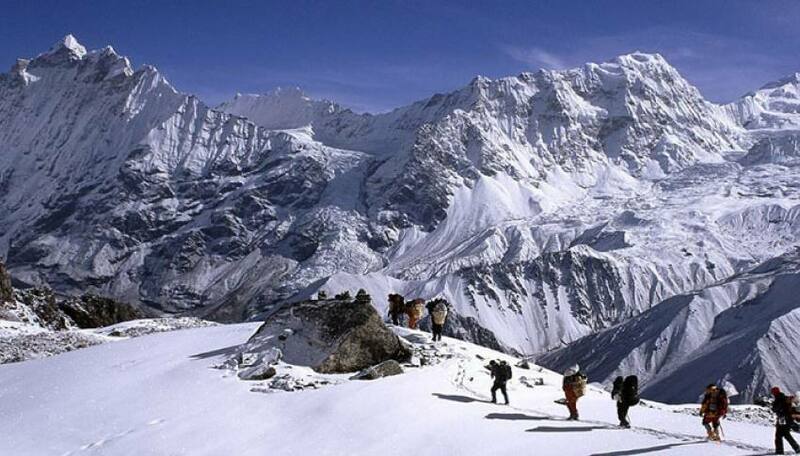 To reach the Langtang Valley (3541m), it takes about 6-7 hours. Overnight stay at a guest house. Day 06Trek to Kyanjin GompaAgain on the 7th day of the trekking we leave the village early in the morning, taking a breakfast on the way. On this wall, prayers have been written and it is believed to be carried out by the wind. Kyanjin Gompa (3900m), which takes 3 ½ hours to reach, is surrounded on all sides by the Himalayas. When we arrive, we have plenty of time to explore the area. Overnight stay at a guest house. Day 07Rest Day in Kyanjin GompaOn the 8th day, you will be resting at the Kyanjing Gompa to help us get accustomed to the thin air. We'll go around the Kyanjing Gompa to view the remaining scenic beauty as you may not be able visit this place time and again. So, do not leave anything or any place to explore the Kyanjing Gompa. Overnight stay at a guest house. Day 08Trek to Base Camp of Naya Kanga PeakWe will walk through the rocky path with arid landscapes all the way to Naya Kanga Peak where we will set camp in the Base of Naya Kanga Peak with incredible mountain views. Overnight in tented camp. Day 09Trek to High CampLeaving Base Camp, we will trek upward to the High Camp. Take it slow and don't overdo yourself, the best is yet to come. Overnight in tented camp. Day 10Climbing of Naya Kanga Peak The next day you will be climbing the Naya Kanga Peak Summit. This is the most exciting day of the trip. 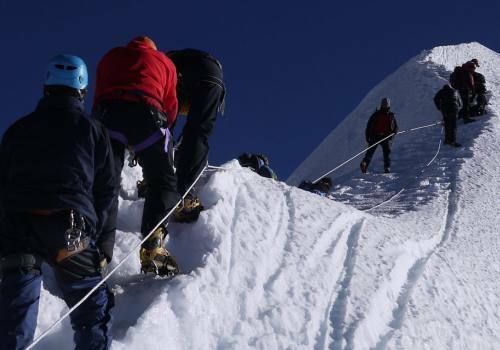 It will take a will to reach the summit from the High Camp and the climbing will be an exciting one and you will discover the fun of peak climbing. 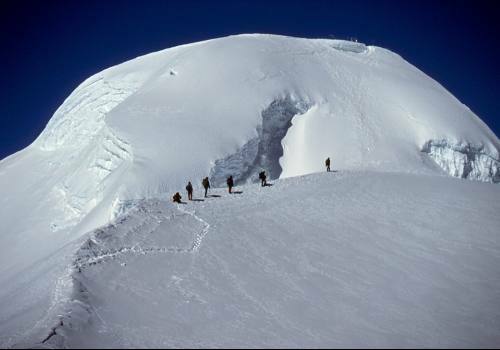 After exploring the peak for a while, you will then return to the Base Camp before it is too dark. Overnight stay at a tented camp. Day 11Trek to Langtang VillageMoving across the Kyanjin Gompa, we retrace our steps and reach back to Langtang Village. Overnight in guest house. Day 12Trek to Lama HotelWe wake up with an extraordinary sunrise view from the mountain. Then, we descend back to Lama Hotel (2480m). You get to know the culture and tradition of Tamang people who are living there and follow Tibetan Buddhist beliefs. Overnight stay at a guest house. Day 13Trek to Syabru BesiTaking breakfast early in the morning, we move down towards Syabru Besi, which takes about 5 hours of walk. The duration of 5 hours will pass easily as you will be lost in the lush and amazing vegetation of Langtang region. We take your lunch as soon as you reach in Syabru Besi. Overnight stay at a guesthouse. Day 14Drive back to KathmanduAfter taking breakfast in Syabru Besi, we drive back to Kathmandu. As soon as you reach Kathmandu you will be transferred to the hotel. It depends upon you whether you want to take rest or still willing to explore the Kathmandu Valley. Overnight stay at a guest house. Day 15DepartureWe will assist in your last minute packing and then our representative will leave you to Tribhuvan International Airport from where you can return back to your home or yet another destination. We hope to serve you again.